Precise, bold and more powerful than ever before. We’ve re-engineered every V4 timepiece with the perfect movement. What is the difference between V4 and V3(3.0)? Our V4 timepieces are powered by Swiss movement while our V3 timepiecesare powered by Japanese movement. The V3 has 50M Water Resistance while the V4 has 100M Water Resistance -which means the V4 is suitable for showering and pool swimming. Both V4 and V3 timepieces are fitted with scratch-resistant Sapphire Glass – one of the strongest materials on Earth. What is the difference between Swiss and Japanese movement? Japanese movement is well known for its quality, but Swiss movement is regarded as the best in the world for its exceptional precision and reliability. 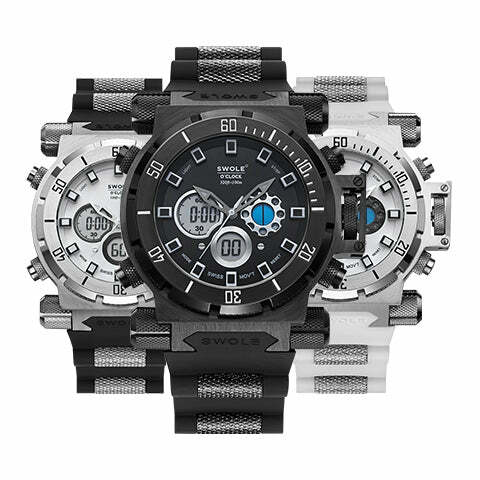 What is the battery life of V4 watches? The V4 runs on two batteries. The standard battery life for the analog movement is 40 months, while the battery life for the digital display is 24 months. Yes, you may shower with the V4.